Rediff.com » Movies » What was Kareena doing in Dubai minus Taimur? 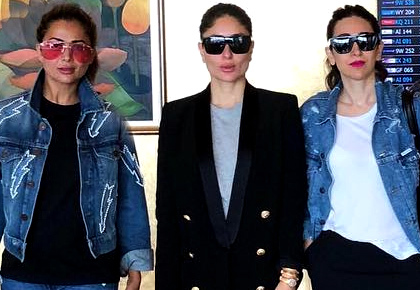 What was Kareena doing in Dubai minus Taimur? Scenes from Kareena's girly workation. Kareena Kapoor Khan, who will next be seen in Karan Johar's Takht in 2020, zoomed off to Dubai over the weekend for a store launch. Bebo didn't fly solo. 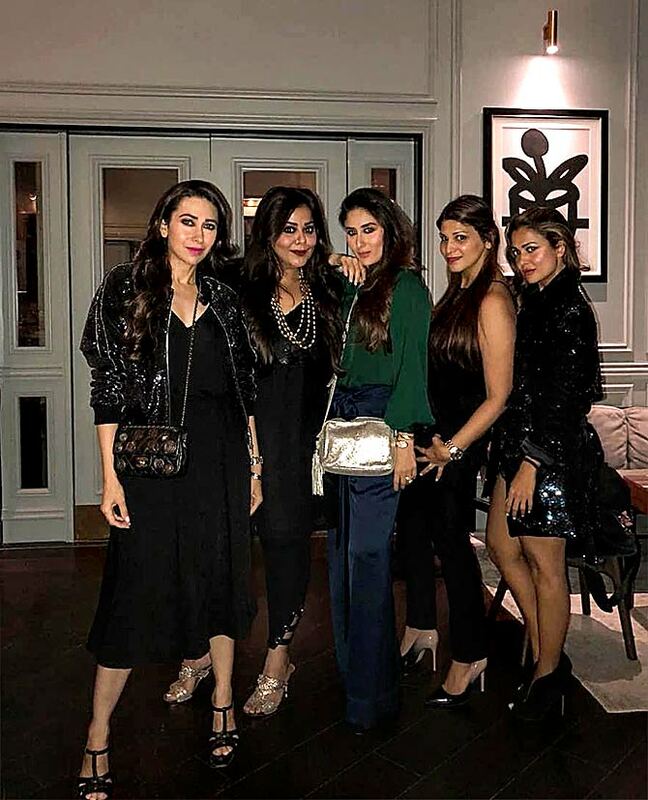 Her girl gang -- including sister Karisma Kapoor and best friend Amrita Arora-Ladak -- tagged along. Guess her Saifu was looking after their bonny son, Taimur Ali Khan Pataudi. 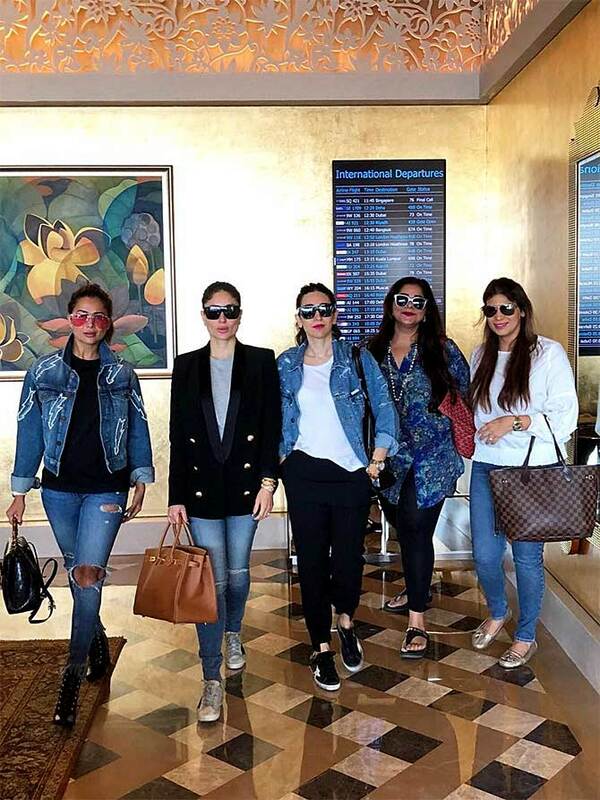 Before boarding the flight, Karisma shared a pic on Instagram wherein all the ladies posed together, looking super chic. 'Girls on the go! #girlies', Lolo captioned the pic. Apart from nailing her airport look, Kareena looked radiant at the store launch. Here's Kareena posing before the event against a breathtaking view of Dubai. After getting done at the store, Mrs Pataudi off to party with her friends. Bebo sure knows how to have fun even while working. Did stars 'boycott' Priyanka's party?